The continued fluctuations that the tobacco Industry has been witnessing in light of the changes occurring in our world today, insinuate that achieving success in this industry is full of challenges. However, we, at Alzawrae Company, have set forth, with ignited passion and enthusiasm, towards unrivaled success by following a series of structured phases, in which we invested all efforts and resources. Starting from the selection of the finest raw materials from the best international sources, to the strict abidance and application of the latest international quality standards throughout all our manufacturing stages; all the way through to our customer focused approach, where we ensure full customer satisfaction by serving their diverse tastes and needs. Recognizing that in order to create a strong and well positioned brand we need to apply a well-integrated set of factors which include quality and type of service, we moved towards raising our performance standards at all levels. We have set active strategic plans that aimed at establishing strong ties and long term relations with our customers and partners alike; by further expanding our investment activities based on market research. 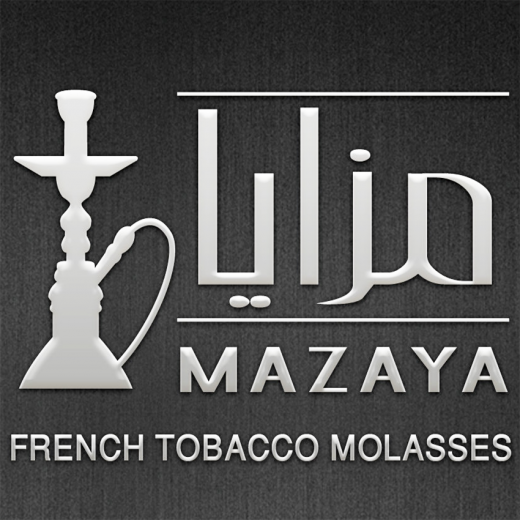 Furthermore, we have increased the production volume of our high quality tobacco-molasses “Mazaya” due to increasing market demand and adopted innovative product launch approaches making the Mazaya brand the number one choice in all markets. The progress and great achievements we have made so far and the promising future of “Mazaya” motivates us to renew our commitment to all our customers and partners alike, to give our best and employ all our capabilities, thus maintaining their full trust and confidence. In order to fulfill our promise we set forth to efficiently implement our set criteria, focus on development and continuously upgrade our production processes. We seek to build a firm platform from which powerful, integrated and unique brands can be born and strongly positioned at the highest international standards. At Alzawrae, we focus on employing the latest international technologies available, in the production of our tobacco-molasses. Our advanced production lines, of Italian origin, employ the latest technologies in electronic quality measurement and therefore increase production while maintaining the highest performance standards; enabling us to efficiently meet the increasing demand for our products in all parts of the world. We know that special moments that remain in our hearts, creating beautiful memories, are those moments we spend with our loved ones, intimate moments of sharing hopes and dreams, enjoying their company and making promises of lasting companionships that we aim to cherish and hold with warmth forever. Inspired by the essence and heart of such beautiful moments our identity was born, for Mazaya tells the intimate details of a beautiful story full of joy and happiness. Illustrated in two human faces that bond with the purest affections and enjoy each other’s company, whose hearts overflow with hopes of capturing the everlasting essence and flavor of their meetings in their surroundings; as their faces come closer the features of our identity begin to appear more clearly, the shape of the Mazaya hookah outlined by their faces, emitting the splendor and flavor of their meetings. To be pioneers in the production of premium quality tobacco-molasses made from the finest tobacco leaves under the highest international quality and safety standards. Increase international demand on all our various products. Establish factories that operate at the highest international standards, ensuring the prompt delivery of our products to all our customers using our integrated services. Provide a healthy and safe working environment that increases performance by encouraging creativity and innovation. Establish successful partnerships with Arab and international companies specialized in the production of tobacco-molasses, allowing for more research and development that would improve all types of tobacco production. Build a strong team who would share in our vision and move forward towards achieving our objectives.